They have offices both in our building and also at Mount Auburn Hospital. They are experienced and we trust their expertise, clinical skills and judgment. This is an outpatient program offered to individuals with cardiovascular disease. The program is designed to help improve overall health and achieve a better quality of life through exercise, education and counseling. This service is located in the Saal Cardiovascular Center on the main floor of the Stanton Building. Kyle K. Pond, MD, Medical Director, heads the program with a team that includes Cardiac Nurses and Exercise Physiologists. Kathleen Bowers, RN, can be contacted at 617-497-2400 for more detailed information about this service. A cardiologist is a doctor with special training and skill in finding, treating and preventing diseases of the heart and blood vessels. When Would I See a Cardiologist? 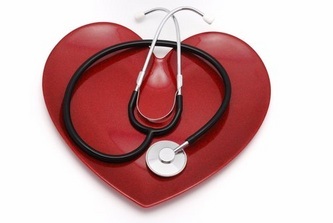 If your general medical doctor feels that you might have a significant heart or related condition, they will often call on a cardiologist for help. Symptoms like shortness of breath, chest pains, or dizzy spells often require special testing. Sometimes heart murmurs or ECG changes need the evaluation of a cardiologist. Cardiologists help victims of heart disease return to a full and useful life and also counsel patients about the risks and prevention of heart disease. Most importantly, cardiologists are involved in the treatment of heart attacks, heart failure, and serious heart rhythm disturbances. Their skills and training are required whenever decisions are made about procedures such as cardiac catheterization, balloon angioplasty, or heart surgery. Whether the cardiologist sees you in the office or in the hospital, they will review your medical history and perform a physical examination which may include checking your blood pressure, weight, heart, lungs, and blood vessels. Some problems may be diagnosed by your symptoms and the doctor’s findings when you are examined. You may need additional tests such as an ECG, x-ray, or blood test. Other problems will require more specialized testing. Your cardiologist may recommend lifestyle changes or medicine. Each patient’s case is unique. What Kinds of Tests May the Cardiologist Recommend or Perform? Echocardiogram – a soundwave picture to look at the structure and function of the heart. Ambulatory ECG – a recording during activity to look for abnormal heart rhythms. Exercise test – a study to measure your heart’s performance and limitations. Cardiac Catheterization – a test in which a small tube is placed in or near the heart to take pictures, look at how the heart is working, check the electrical system, or help relieve blockage. Do All Cardiologists Perform Cardiac Catheterizations? No. Many cardiologists are specially trained in this technique, but others specialize in office diagnosis, the performance and interpretation of echocardiograms, ECGs, and exercise tests. Still others have special skill in cholesterol management or cardiac rehabilitation and fitness. All cardiologists know how and when these tests are needed and how to manage cardiac emergencies. How Does the Cardiologist Work with Other Doctors in My Care? A cardiologist usually serves as a consultant to other doctors. As your cardiac care proceeds, your cardiologist will guide your care and plan tests and treatment with the doctors and nurses who are looking after you.